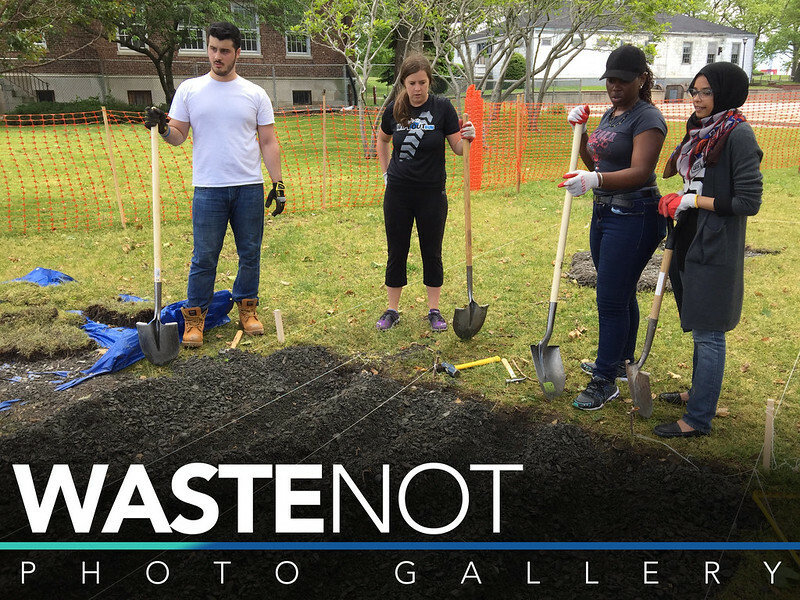 A team including a Hofstra engineering professor and 11 students proved that one person’s trash is another person’s treasure, building a pavilion on Governor’s Island using five tons of dried clay and thousands of pounds of melted aluminum. Their project, called Cast & Place, took first place in the 7th Annual City of Dreams Pavilion competition that encourages sustainable design by challenging architects, designers, and engineers to envision and create architecture out of materials that will have as little impact on the environment as possible. Cast & Place was among more than 100 submissions in 2017 competition, which was sponsored by FIGMENT, a free arts event, the AIANY Emerging New York Architects Committee, and the Structural Engineers Association of New York (SEAoNY). The completed pavilion served as the hub for the free arts festival on Governor’s Island during the summer of 2017. The proposal called for creating architectural panels by pouring wet clay into shallow wooden trays and letting it dry. The dried clay forms a network of cracks which is transferred into a metal tray and melted aluminum is poured into the mold. When the aluminum cools and hardens, the clay is washed away to create a strong yet delicate lattice of aluminum which is used to create the walls and roof of the pavilion. Cast & Place was among more than 100 submissions in 2017 competition, which was sponsored by FIGMENT, a free arts event, the AIANY Emerging New York Architects Committee, and the Structural Engineers Association of New York (SEAoNY). "The experience of seeing something tangible that you have worked hard on, and having the opportunity to share that with friends and family is very rewarding." Engineering students Sayeeda Manzoor, ‘17, Amanda Cohen ‘19, Jennifer Desamero ’18 and Dominick Pizzano, ‘19 helped the team install the pavilion on Governors Island. Susanna Planck-Kuney ‘18, Bernadette Rooney ‘18, Emily Root ‘18, and Kris Wagner ‘18 assisted with the development of prototypes and Gulshan Mangra ‘19, Tyler Weinger ‘19, and Ahsan Sandhu ‘17 crushed aluminum cans. The design project was the brainchild of a group that called itself Team Aesop comprised of Segal, Josh Draper from the architectural firm PrePost, Lisa Ramsburg, Powell Draper and Alexandra Cheng from the engineering firm Schlaich Bergermann Partner, Max Dowd from Grimshaw Architects, artist Scot W. Thompson, and sculptor Bruce Lindsay. Following the exhibition, plans were to recycle the architectural panels into benches and stools for supporters of the project to be placed in community gardens and schools in New York City. In addition, three of the pavilion panels were shown as part of a three-week eco-design exhibit (April 18-May 6, 2018) at Gallery 151 in Manhattan celebrating Earth Day.